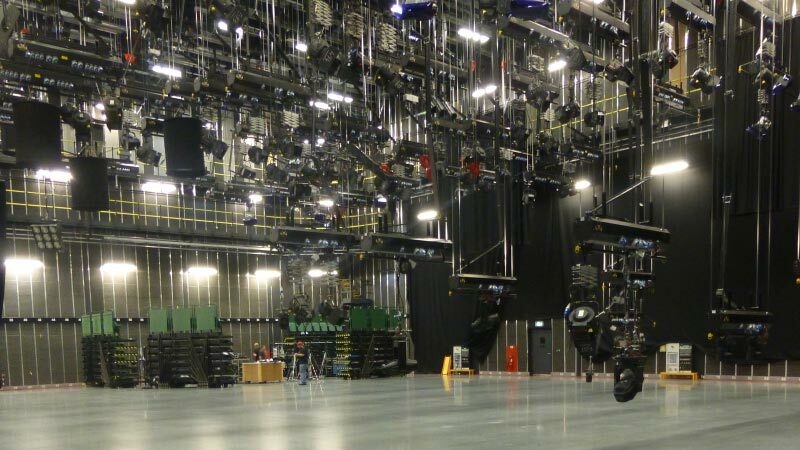 Salford, UK – 9 September 2013 - dock10, the MediaCityUK-based media services provider, has investing approximately £1m on bespoke lighting and scenery hoists from the Italian specialist company De Sisti for its HQ1 studio. LSI Projects has supplied and installed the equipment and will provide ongoing maintenance services, while finance was provided by Fineline Media Finance. The bespoke hoists give greater flexibility in the studio by enabling a faster turnaround of shows, thus increasing availability of the popular facility for customers. The purchase also shows dock10’s continuing commitment to investment in its facilities and the growing influx of work coming to the North West. John O’Shaughnessy, Head of Technology Operations, dock10, said, "We estimated that we could potentially gain an additional 70 days in the studio simply by installing the hoist and cutting turnaround times. It means we can say ‘yes’ to more productions and that can only be a good thing for us and our customers."